During the past 25 years, Barbara DeFranco has been in charge of various Buddhist centers in Hawaii. She is the primary visionary and founder of Paleaku Gardens Peace Sanctuary. In 1971 she came to Hawaii as a midwife and dedicated her life to the many facets of Peace and Harmony. As a landscape designer, community facilitator and skilled writer she continues in the development of the garden by listening deeply to the visions from friends and the Aina (the Land) itself. She shares in the financial support of Paleaku by managing a retail store in Kona, the Indich Collection. She maintains her involvement with the community by having accepted an appointment to sit on the Kona Community Development Commission. She is an active mother, grand mother,and great grandmother. Sal brings his background in construction and engineering to maintain and upgrade the many buildings at Paleaku.His friendly personality, genuine humor and practical approach keeps Paleaku moving forward.His personal involvement in the community, and on the golf course, creates networking and fund-raising opportunities. Mariah H. Dodd, MSW, brings her skills as a grant writer, counselor, and visionary. She has worked for over 20 years in the field as a child and family counselor, school counselor, and program manager for several non-profit agencies focused on community involvement activities for children and families. Merle Wood is a retired Kona coffee farmer. Formerly he was Senior Legal Counsel in a multi-national corporation. He is past President of Hawaii Organic Farmers Association and the Kona Coffee Counsel. He has been involved with Paleaku since 1998. Recently he served as the Treasurer of the Dzogchen Community of Hawaii. 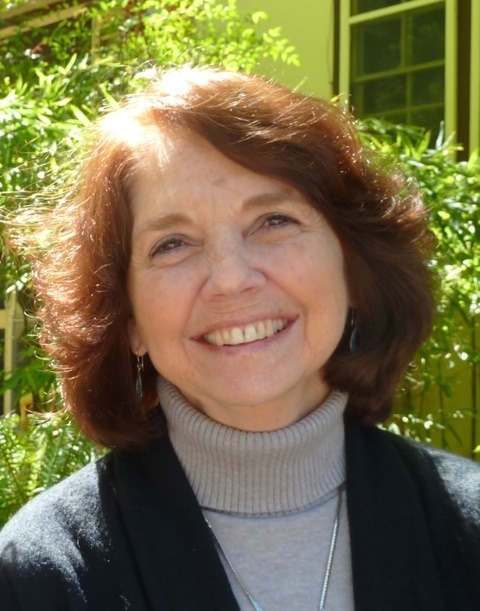 Over the last 29 years, Trish has worked with Dr. Jerry Jampolsky, to mentor Attitudinal Healing Centers and support program development in diverse cultures throughout the world. Her roles have included six years as the Executive Director of the International Attitudinal Healing Network, three years as Executive Director of the Hawaii Center for Attitudinal Healing, and ten years as a senior consultant for Attitudinal Healing International. Trish is currently the International Communications Coordinator at Attitudinal Healing International. As one of the original teachers of the Ridhwan School (www.ridhwan.org) Marie shares her commitment to further the common good of respect for ourselves and our planet. As an artist she uses photography, painting and art quilting to reveal the deeper significance of the inner being. She feels that the garden provides the fragile beauty that our living planet needs to wage our mission of peace and harmony. Judith has served on various civic boards and advisory committees on O’ahu before living on the Big Island. Judith recognizes Paleaku Gardens Peace Sanctuary to be a unique embodiment of deep spiritual Mana combined with spectacular natural beauty providing the South Kona Community with a gathering place for quiet contemplation, celebration, education and creative expression. Judith has recently moved to Kohala and recommitted to serve on the board. She feels that a jewel such as Paleaku Gardens, as a part of our Hawaiian Island heritage, must be protected, developed and cared for. Desiree brings her deep commitment to the vision and mission of Paleaku. Growing up on the land she has participated in its development throughout her life. Her background as a mother, caregiver and business manager supports the Garden as it blossoms into a global destination. Her strength, compassion, and perseverance add necessary ingredients to the Garden’s future sustainability.